The Coniston 14 is probably the most beautiful road race in Britain. Each year it attracts some 1600 runners and this year Helsby Running Club were represented by Jackie Keasley, Lesley Feakes and David Feakes. The hilly route usually follows the 13.875 miles of road that circles Coniston water however, due to the flood damage to the bridge at the southern end of the lake, the route has been extended to 17 miles for the last couple of years. 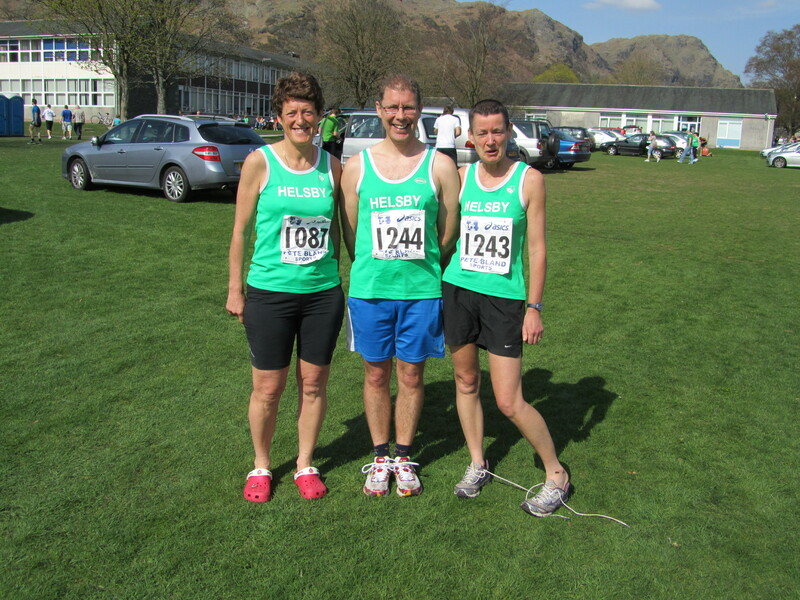 The Lake Districted provided a wonderful sunny day for the event with temperatures above 20 degrees C.
All 3 Helsby runners had a good race, especially Jackie, who demonstrated that all her training miles are paying off.